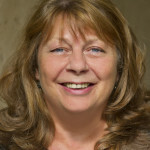 Debra has worked in the charitable and voluntary sector for over 30 years. Amongst numerous other roles She is Vice President of the Soldiering On Through Life Trust Awards and co-chairs the judging panel with General the Lord Dannatt. She is a Trustee of In Kind Direct, one of the Princes’ Foundation Charities, and a trustee of the Berkshire Community Foundation. She is also an Africa Advocacy Foundation Ambassador for women and girls at risk of or affected by Female Genital Mutilation (FGM). She has served as a trustee of several charities including being the co-founder of the Small Charities Coalition and was its first Chair. 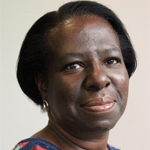 She served on the Charity Commission’s SORP committee for over 7 years and was the Vice-Chair of Governors of Whiteknights primary school for 6 years. She is a renowned public speaker and internationally published author of several books on management and leadership and is particularly well known for her Last Word Column in Third Sector magazine and her seminal book for charity CEOs – ‘It’s Tough at the Top’. Her new book ‘Its Murder in Management’ is due to be published in 2018. Bronwen joined DSC in 2017 and is responsible for Facilities, Personnel, the Executive Office and managing the Trustees. Bron's favourite thing about DSC is working closely with those who want to impact and influence positive change for society. George joined DSC at the beginning of 2017 and leads both the sales and customer service teams on their mission to help our beneficiaries help others. The favourite part of his role is knowing that the work we perform has a major impact on both the charities and individuals that we are able to serve. Jane joined DSC at the beginning of 2018 and deals with customer service enquiries, as well as welcoming delegates who are attending Training and meeting visitors coming to our Bookshop. The aspect of her role which Jane enjoys most is helping the wide range of interesting charities which we work to find the right information or support. 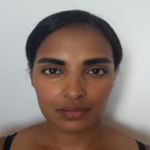 Joined DSC June 2016 and she deals with the daily processes of subscription website memberships, publication orders and course bookings. She is also responsible for the visual merchandising of DSC's bookshop. Gwen enjoys the challenge of resolving customer queries. Joined DSC in August 2016 and oversees the implementation of DSC’s training and personally connects with DSC’s associates, beneficiaries, potential beneficiaries and sponsors in order to strengthen relationships and maintain partnerships. What Asmeret enjoys most about working for DSC is her colleagues and the satisfaction of knowing that she is helping to make a difference in our beneficiaries’ lives and empowering charities to help others. 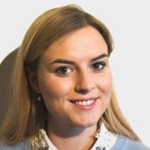 Alexandra joined DSC in 2017 and she works directly with our customers to support their organisational development and meet their charitable objectives through learning and development. 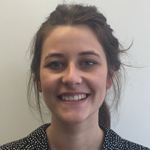 Alexandra enjoys working with charities that effect positive change to society. Cathy has been at DSC for 20 years, in a variety of roles. With over 30 years experience in learning and organisational development, Cathy continues to ensure our customers have the best resources to carry out their work and help their beneficiaries. The best thing for Cathy about working with DSC is knowing that the quality of products and services we provide to charities makes a difference on the front line. Eileen joined DSC in January 2018, and having worked within the commercial teams in charities and social enterprises brings a wealth of experience of working in the 3rd sector. Eileen is a member of the Sales team dedicated to supporting clients both current and new in accessing the varied and excellent products and services DSC provides. 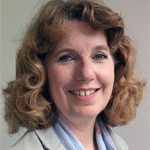 Eileen enjoys being part of a team that is genuine, professional and totally committed to building sustainable charities with well trained, confident trustees, employees and volunteers. Joined DSC in 2016 and is responsible for overseeing DSC's training courses and events. 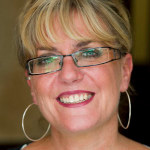 She likes learning about the needs of our beneficiaries in the charity sector to provide relevant courses and events. Evangeline favourite thing about DSC is her colleagues and our credenza area! Louca joined DSC in 2014 as a Facilities Assistant in the Dining area of the site at Stephenson Way, he continued to support DSC when we moved to Holloway Road and helps with various office administration tasks. Loucas' favourite thing about working for DSC is the team he is working for/with, and the routine of being involved in something great and challenging. He enjoys the atmosphere of mutual respect and appreciation, and where everybody’s input is welcome. 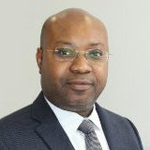 Chibuzo joined DSC in February 2016, bringing with him 13 years of experience in audit and financial management for both non-profit and private organisations. His role involves overseeing the finance team, ensuring completion of all financial reports and other tasks. Annette’s main role is to make sure monthly figures are compiled and to support the accounts department. She enjoys working for DSC as ‘it’s all team work’. Her favourite thing about working at DSC is "supporting my direct reports to be the best managers they can be". 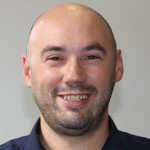 John has been with DSC since 2005 and is responsible for print and online publishing. He likes working on products that have real value for the sector. Justin has been at DSC since 2011. He is responsible for building and delivering the marketing budget and strategy. One of Justin's favourite things about working at DSC is he gets to find out more about all the charities out there doing amazing work. Jose joined DSC in 2016 and is responsible for creating, development and implementation of marketing plans for publications and funding websites. Jose likes being part of creating products that help charities to help their beneficiaries. 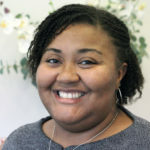 Kim joined DSC in September 2018, and is responsible for generating content for use online and in digital communications. 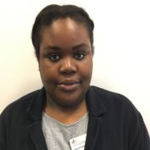 Having finally got into the charity sector, she's eager to use her existing marketing skills to experiment with digital avenues in order to maximise engagement. Kate has been at DSC since 1994. She is the designer at DSC and does everything that is visual, from book covers to brochures. The thing Kate loves about working at DSC is that she gets to be creative in so many different ways and seeing how we reach the people that use and benefit from our services. Since starting as a Researcher in DSC's Liverpool Office in 2003, Jay has had several roles in research, policy and as a media spokesperson. He loves the buzz of big ideas and debates about policy, public affairs, research, campaigning, politics and social issues generally. 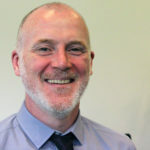 Jay's favourite thing about DSC is connecting with the awesome people in our charity sector, learning about what they do, and building relationships that make things happen. You might come across Jay's quotes in the sector press, his tweeted blogs and opinions, or as a speaker, chair and panellist at events. Daniel joined DSC in 2017 and is responsible for delivering against DSC’s policy and campaign objectives and to help promote DSC’s research. His favourite thing about DSC is the breadth of excellent work we do – training, conferences, being a rare charity publisher of sector expert literature, providing the UK's no1 funding resource for fundraisers, top-quality research – and lots of policy work. 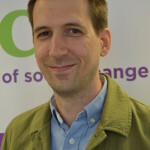 Before coming to DSC Daniel worked for RAND Europe, a policy research institute, where gathered experience in coordinating large-scale research projects for grant-makers, UK government and the EU bodies. Daniel has also worked as a research assistant at one of the largest foundations in Germany, Stiftung Mercator, working on topics of impact-driven philanthropy and foundation strategy development. He has furthermore worked and volunteered for a range of operational and grant-making foundations in the youth and learning sector. Daniel is passionate about supporting civil society organizations to find solutions for global and national challenges. 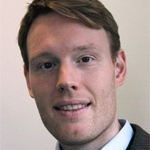 Daniel has a BA/BSc in Public administration from the University of Münster and the University of Twente, and an MPP from the Hertie School of Governance, Berlin. 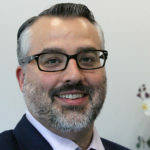 "Since joining DSC in 2001, Tom has researched and authored numerous publications and reports. 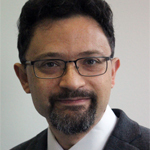 As Head of Research, he is responsible for delivering DSC’s research strategy, developing research partnerships with funders and other research organisations and leads our Sector Insight and bespoke research projects. Tom’s favourite things about working at DSC are discovering the fascinating history of charities and foundations, helping charities be more effective through research and working with a passionate and committed team that puts our beneficiaries and customers at the heart of everything that we do. 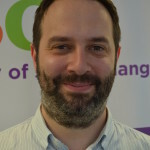 He has a BA (Hons) in Literature and Media and Cultural Studies from Liverpool John Moores University and an MA in Research Methods in Sociology and Social Policy from the University of Liverpool. 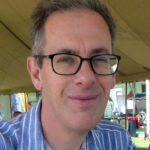 He has been a trustee of a local arts organisation, has volunteered for an educational charity and a community media project and has also been a grants assessor for a community foundation." 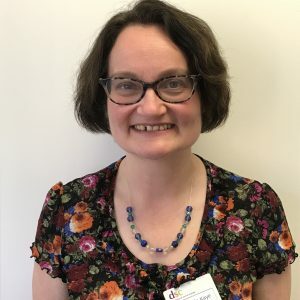 Denise joined DSC in 2006 and is responsible for the maintenance of the subscription websites and the delivery of the research for DSC's fundraising guides. Denise's favourite thing about DSC is working with the people there. 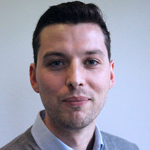 Stuart joined DSC in 2015 and is responsible for DSC's armed forces charities project and wider research. Stuart's favourite thing about working at DSC is sharing our research and seeing it used to influence social change. 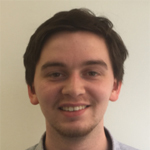 Ian joined DSC in 2014 and works on DSC's funding guides and websites. Ian's favourite thing about working at DSC is helping smaller charities find funding. 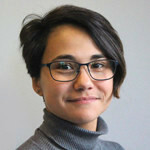 Judith joined DSC in 2017 and works on DSC's funding guides and websites. Judith's favourite thing about working at DSC is helping fundraisers find new sources of income to support their work and their beneficiaries. 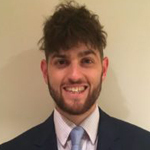 Anthony joined DSC in 2017 and works on DSC’s armed forces charities project. Anthony’s favourite thing about working at DSC is researching the various services and provisions armed forces charities do for their beneficiaries. 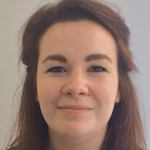 Rhiannon joined DSC in 2017 and works on DSC's armed forces charities research. Rhiannon's favourite thing about working at DSC is using data to tell a story and affect positive social change. Mairéad joined DSC in 2017 and works on funding guides and websites. Mairéad's favourite thing about working at DSC is meeting with beneficiaries and seeing the great work charities are carrying out in the local area. 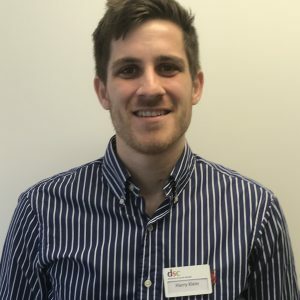 Harry joined DSC in March 2019 as part of the core research team. His background is in scientific research, having completed an MChem in Chemistry with Maths at the University of Southampton and a PhD in Chemistry at the University of Oxford. Prior to joining DSC, he worked with the charity SAFE! as part of a student consultancy project. 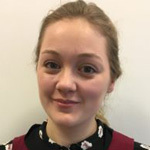 Amanda joined DSC in March 2019 as a researcher on DSC’s Armed Forces Charity project. Prior to joining DSC Amanda worked within data/research for twelve years, including completion of both qualitative and quantitative research projects. 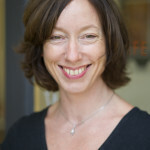 Amanda holds a BSc in Economics and an MA in Applied Social and Market Research. 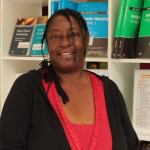 During her MA she undertook qualitative research into the barriers to employment for visually impaired women. Roberta joined DSC in 2017 and is responsible for commissioned research. 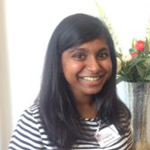 Roberta’s favourite thing about DSC is designing research projects which support the needs of DSC’s beneficiaries.